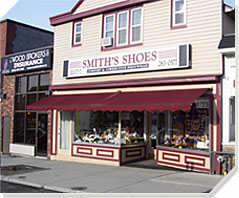 We are a full service measure your feet shoe store. We carry woman’s sizes 4 – 13 + men’s 7 – 15 in a wide range of widths. We also do special orders of the products we don’t carry. We also do off the shelf orthotics for various foot problems.